Renewable energy is often a political issue and politics will likely play a larger role in clean power as people become more concerned with the environment. New Zealand’s Green Party is making a move on renewable power, releasing new details about its economic plan. The plan is heavily based on clean energy, proposing that the country receives no less than 100% of its electrical power from renewable sources by 2050. 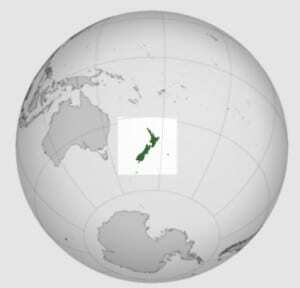 As an island nation, New Zealand heavily relies on oil imports. The country spends approximately $40 million every year on oil imports. The Green Party suggests that this is an unnecessary expense due to the potential of renewable energy systems. Under the current government, energy prices have risen by 27%, despite a 2.6% fall in the demand for residential power. Clean energy may be able to meet the country’s needs without also placing New Zealand under financial stress. The Green Party’s plan calls for a $15 million investment in the country’s clean transportation space. This money would be used to bolster the transportation infrastructure, building new charging stations for electric vehicles and creating incentives for consumers to purchase them. Another $15 million would be used solely for incentive programs designed to make electric vehicles more attractive. Renewable energy is an attractive prospect, but it is also quite expensive. Though the cost of clean power has fallen in recent years, it is still considered more expensive than more conventional forms of energy. Moreover, the initial investment required to develop clean energy systems is prohibitive for some countries. These energy systems make use of new technology that is not always affordable. Clean power can help reduce energy expenditures, however, which is one of its more attractive qualities. New Zealand residents have shown interest in renewable energy, but whether or not they will support the Green Party has yet to be seen.